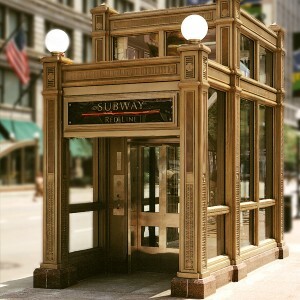 A 1979 Mall was returned to a vital urban streetscape with the addition of these contextually inspired cast iron Subway Kiosks. 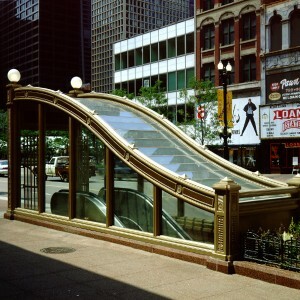 Robinson Iron produced 29 structures and 7,000 linear feet of planter railing – all designed by the Chicago office of Skidmore, Owings and Merrill. 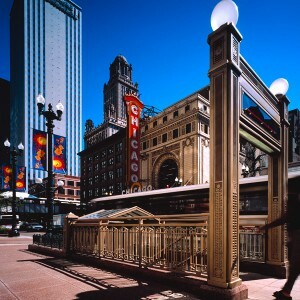 Over 368 tons of cast iron was poured, machined, pre-assembled and conveyed from Alabama to the City of Chicago.